In a surprising turn, beauty mogul and Forbes cover model Kylie Jenner revealed on Instagram that she removed her signature lip filler. 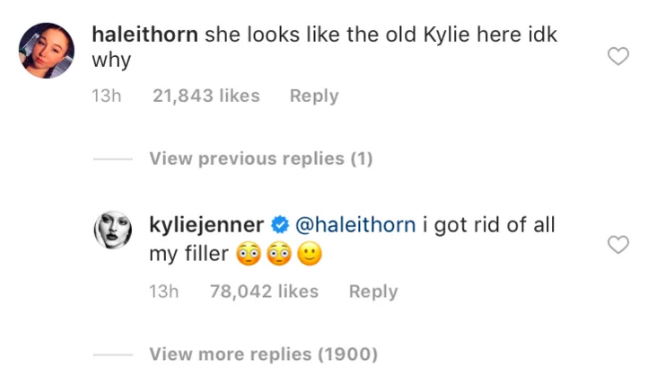 A fan commented on a recent picture of Kylie, saying that she looks like the “old Kylie.” Jenner then responded with a simple, “I got rid of all my filler.” Fans were all about this revelation, saying she looked gorgeous with or without lip injections. Her decision to remove the filler got us thinking. 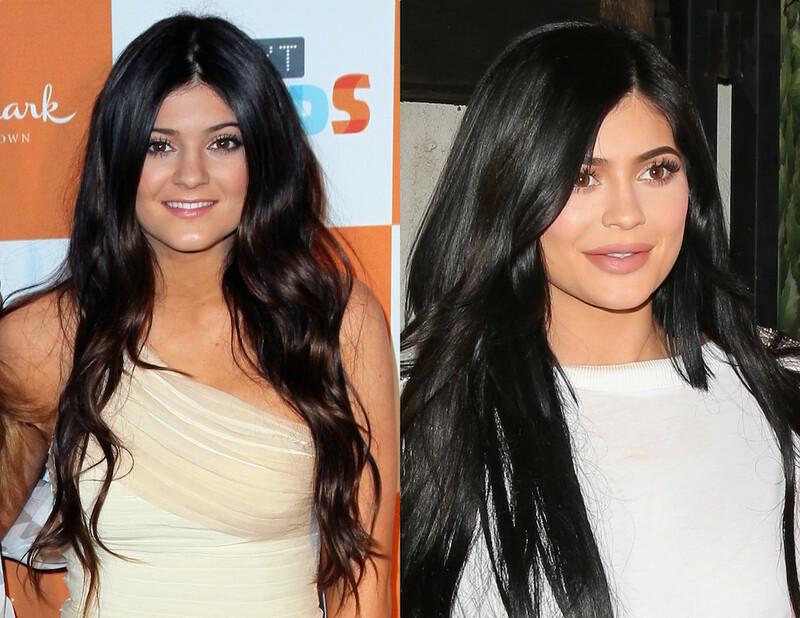 Can you actually remove all of your lip filler? And if so, do your lips revert back to their natural state? HelloGiggles spoke with Nicci Levy, founder & CEO of Alchemy 43, an aesthetics bar that specializes in injections, to get answers about our burning questions. First of all, what are lip fillers? Common injectable lip fillers are Restylane, Juvederm, and Volbella. “The standard material that’s used is hyaluronic acid,” says Levy. Our bodies naturally produce hyaluronic acid, but the kind in these fillers is a synthetic form. The filler is then injected into your lips to change their shape and make them look plumper. Can you remove all of your lip filler? It is totally possible to reverse your injections. Whether you dislike your results, or just feel like going back to your natural lips, you can have an enzyme called hyaluronidase injected into them, explains Levy. This dissolves any hyaluronic acid that’s been injected. Side effects are similar to those of getting injections in the first place; namely swelling and bruising. Do your lips go back to their normal state and shape? Can you develop scar tissue? You can develop scar tissue any time you inject product into an area on your body, says Levy. Though it’s not super likely to happen from lip injections if, and this is key, you go to a reputable place. No lip injection Groupons! Remember, it is still a cosmetic procedure. If you do develop scar tissue, it can alter the shape and texture of your lips. If you’re thinking about getting lip injections, make sure you do your research, find someone reputable in your area, and have them explain all of the potential risks to you.